Final Fantasy VII was filled with emotional moments, but there’s one scene in particular that I’ve always found especially dark and moving. It might not get brought up in FF7 conversations as often as Aeris’ death scene does, but the image of Seto’s petrified remains has always haunted me. Red XIII, or Nanaki (A.K.A. 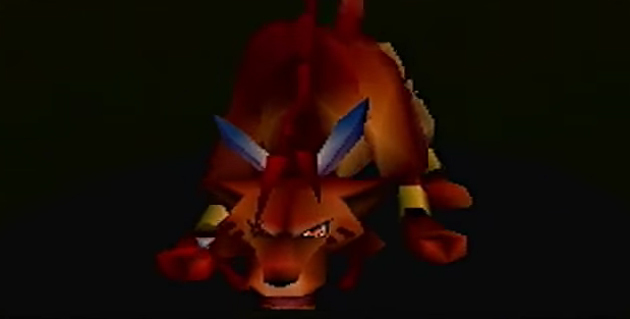 the orange tiger/wolf thing), joins your party in the Shinra labs and agrees to stick with you until you reach his village, Cosmo Canyon. At the end of your stay there, there’s a poignant scene involving Nanaki and his father Seto. Nanaki had been ashamed of his father for years, believing Seto had abandoned Cosmo Canyon in its time of need. It turns out, Seto had secretly defended the village from the attacking Gi, but he had been turned to stone by poisonous arrows during the fray. 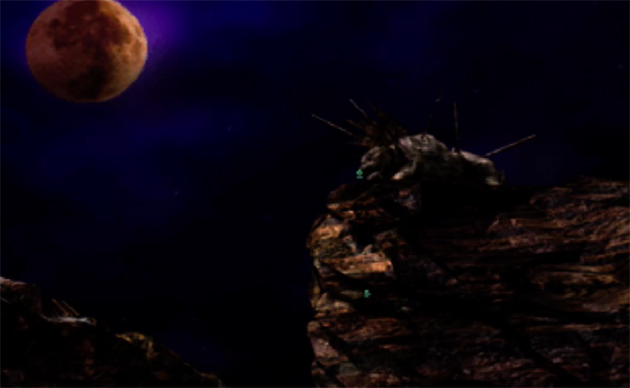 Nanaki is moved by this story, and howls at the moon beneath the stone figure that used to be his father. The stone sheds some tears. It’s perhaps a bit melodramatic, but when I experienced this scene as a teenager, I was especially disturbed. See, my interpretation was that Seto was still alive, though he would live out the rest of his days as a statue. That was a terrifying thought for a kid who hadn’t even finished high school yet. I spent a lot of time ruminating over the implications of living one’s life as a stone figure, and I came to the conclusion that it would be awful. You can’t do anything but stand there silently. Things will continue to happen around you, and, while you can watch them happen, you are forever powerless to change anything. The world will forever turn, leaving Seto as a silent witness of the passing of ages. Strangely enough, I had read C.S. Lewis’ The Lion, The Witch, and the Wardrobe at a very young age, which features a courtyard full of Narnians turned to stone. I didn’t find it as disturbing as the Seto scene. I think my interpretation of the Narnia scene was that the characters went into a sort of hibernation during their stone phase. Not so with the weeping Seto. Of course, I was young enough that I didn’t consider that maybe this was just a visual metaphor. Seto’s soul has probably joined the Lifesream and the statue is merely the shell he left behind. The tears are just there to symbolize his redemption in his son’s eyes. This is a viable interpretation. Still, that scene will always stand out to me as darkly moving, and, as a result, I’ll forever be forced to ponder the idea of living a horrible life of stone. Exactly and that is only the back story of only ONE of the main 9 characters. And people like to say how the game in overrated then lol. I think that stories like these are why FF7 is so well remembered. I’m trying to replay it at the moment, and I am sick to death of the 1/2-hour-long talky bits and cutscenes, because they could be tightened up a LOT more. But the first time I played it, stories like this were the pay-off. Knowing the stories now, there’s no real incentive for me to play the game like I did before. Which is sad in one way, but it also shows how far gaming itself has come (if not the story-telling aspect itself). I feel no shame in saying that I cried like a baby when Seto’s statue shed a tear. And I don’t mind saying that it made me rethink my cultural heritage: maybe my ancestors weren’t pussies – maybe, just maybe, they were fighting an unbeatable foe and did their best, and made sacrifices that I can never understand.